Our deeply discounted extended stay packages Katy hotel, Holiday Inn Katy Mills, is conveniently located blocks away from Katy Mills Mall and a 5 minute drive to new and old town Katy, Texas and Houston. Thoughtfully inspired by IHG, Holiday Inn Hotels offer space to live whether you're staying for a few days, a few weeks or a few months. 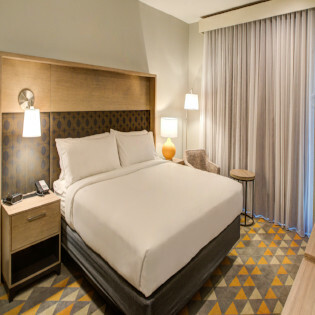 Our full service hotel in Katy offers spacious guestrooms and suites featuring a variety of amenities designed to make you feel at home. Lobby space can be used as a dynamic multi-use space for extended stay guests. Guestroom configuration allows for mobility throughout the room with movable desks. Burger Theory restaurant provides fresh room service foods throughout the day. 24 hour access to outdoor patio space allows the freedom and personal space outside of a guestroom. 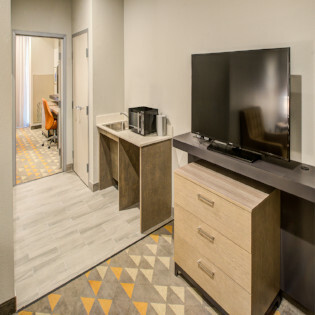 Guests are always plugged-in with over 5 electrical plug-ins throughout a guestroom plus electrical outlets, wired and wireless access throughout public spaces insuring maximum connectivity. Complimentary use of billiard's room. 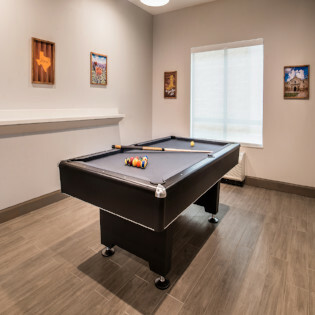 More than anything Holiday Inn Katy Mills provides a home away from home experience with the touches of today's technology all leading to a memorable stay. Please contact our sales office to receive the best long term extended stay experience!